I was catching up over coffee with a semi-retired friend who sources engineers for startups. Thomas (not his real name) smiled when he realized I had no idea what he was talking about. I had heard of a purple frog, but not a squirrel. 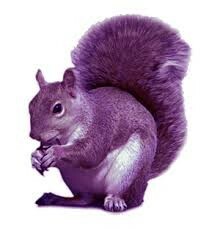 As you might have guessed, there isn’t a purple squirrel. It’s a metaphor recruiters use to describe the unrealistic expectations of a client company to try to find an elusive candidate. In Thomas’ case, the client wanted a full-stack developer with at least 5 years of experience who had an advanced degree in biology and was willing to take minimal salary but lots of stock options. Oh yeah, the job was based in Kansas City. I guess purple squirrels really do have to work for peanuts. Companies often create a detailed job description of the ideal candidate, with exactly the right qualifications and the perfect experience. However, that candidate rarely materializes. And certainly not in the expected time frame. Chasing a purple squirrel is mostly a waste of everyone’s time and money. I say ‘mostly’ because, in my opinion, there is one redeeming quality: the hunt itself. 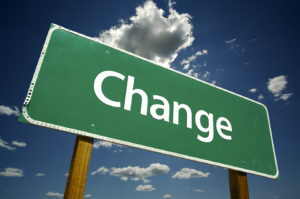 It wasn’t that long ago that recruiters and sourcers were called headhunters. I realize that it’s an unfortunate sounding name but it emphasizes that the key is actively searching – posting jobs to job boards or social media sites is not enough. These are rare candidates overlooked by most recruiting systems because they have so-called jagged résumés; unusual, almost erratic backgrounds, littered with both successes and failures. In the right settings, these candidates can do spectacular work. Maybe that’s the secret of the purple squirrel conundrum. Rather than trying to find a hypothetical candidate to fit an overly-specific job description, flip the equation on its head. Find the purple squirrel in every person and figure out how you can leverage their unique skills. Hire based on attitude and aptitude, not a piece of paper. I like your term “talent that whispers”; I’ve heard it referred to as the “X factor”. Yep, don’t go for the conventional. Average never leads to exceptional. Thank you Jonathan. More disconcerting is how recruiters are referring to humans as “squirrels” & “frogs”. I’ve always looked for talent that whispers. I’ll use that phrase from now on, giving full credit of course. As far as finding the purple squirrel in everyone, that’s the tough part… getting people doing work they love and are great at.